· Focus to finish your study material properly. · Study all the subjects on regular basis to stay in touch with all of them. · Revise the important and tough topics on rotational basis. · Appear for Mock Tests on regular basis and review your performance and revise the topics in which you don't perform well. 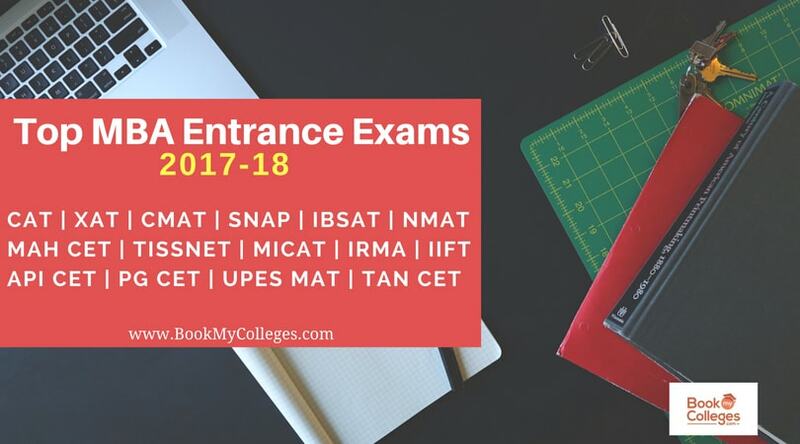 Common Management Admission Test (CMAT) is a national level computer based online entrance examination conducted by All India Council for Technical Education (AICTE) as per the directions of Ministry of Human Resource Development (MHRD). , Government of India. It is the second largest & important MBA / PGDM entrance exam after CAT in India. It is accepted by around 1000 B - Schools all over the country. Till 2015, CMAT was conducted twice in the year in the month of February and September but after the notification issued in 2016 it was conducted once on 17th January 2016. After the current notification issued CMAT 2019 is going to be held on 28th January 2019 and 29 January 2019 is a reserved day. It is going to be held on 62 test centres across the country. The applicant can select upto 3 test centres in the order of preference. The Test timings is from 9:30 AM to 12:30 PM and the reporting time is 8:00 Am. CMAT is computer based online examination of 3 hours or 180 minutes. The exam is of total 400 marks comprises of 4 sections Quantitative Technique , Logical Reasoning, General Awareness and Language Comprehension each carrying 25 Multiple choice questions (MCQs). For each correct answer 4 marks will be awarded and for each wrong answer 1 mark will be deducted. A Trial test for the students to understand the computer based test is available on CMAT Official website from December 15, 2018 till the test day. On the basis of CMAT 2019 results you are eligible to apply for all AICTE approved Institutes / Departments / Constituent Colleges/ Affiliated Colleges of Universities for PGDM , MBA and similar, PGCM and Executive PGDM Programmes. The scores will be valid for 1 year. · Students will be shortlisted on the basis of college cutoff, scores or ranks.